Boreal forests are cold and damp habitats that test the survival skills of all organisms inhabiting them. Despite the cold temperatures, the region's abundant rainfall supports several plant species, which in turn support many herbivores. Bears, wolves and large cats inhabit the taiga and prey on these herbivores. While these predators are potentially dangerous to humans, many of the herbivores native to the region are large enough to be dangerous as well. While not as common as they once were, gray wolves (Canis lupus ssp.) continue to range throughout the boreal forests of the world. Smaller than tigers and bears, wolves compete with their larger neighbors by hunting in packs, and cooperatively capturing prey. Despite the potential danger they represent, wolf attacks on people are exceedingly rare and are usually the product of a sick or injured wolf, struggling to survive. Weighing up to 800 pounds, brown bears (Ursus arctos ssp.) inhabit the boreal forests of Europe, Asia and North America. Bears are very adaptable animals that can subsist on a number of prey sources; they readily consume berries, fish, birds, mammals, insects and human garbage when the opportunity presents itself. Experts suggest that you should fight back if a bear is acting offensively -- such as one that is stalking you -- but, you should try to be non-threatening and protect yourself if a bear is reacting defensively. Bear attacks are not common, but they are incredibly powerful animals that must be respected. Several different cat species are secretive predators of the boreal forest. Both lynx (Lynx canadensis) and bobcats (Lynx rufus) are excellent climbers of the North American boreal forests that often climb trees to scan the ground for prey. Because of their relatively small size and shy nature, neither will attack unless they feel threatened. By contrast, the largest cat in the world -- the 13-foot-long Siberian tiger (Panthera tigris altaica) -- inhabits the north Asian boreal region and is large enough to be a serious threat to humans. The very rare Amur leopard (Panthera pardus orientalis) sometimes ranges into the southern boreal region, but it is incredibly secretive; scientists have great trouble finding them for study. Though the odds of an encounter are low, experts advise you to fight back if attacked by a large cat. Though they do not hunt other animals, the large herbivores of the boreal forest can be dangerous when frightened. Reaching up to 1,700 pounds and wielding antlers up to 6 feet wide, moose (Alces alces) are the largest members of the deer family, and are capable of killing or wounding perceived threats -- including humans. Only slightly smaller, elk (Cervus elaphus) are almost as formidable, possessing an enormous set of antlers, which may exceed 40 inches. Avoid dangerous encounters with both by making noise as you travel through the forest; given ample warning, these animals will move away and avoid encounters with humans. National Geographic: Mountain Lion vs. Outdoor Enthusiasts? 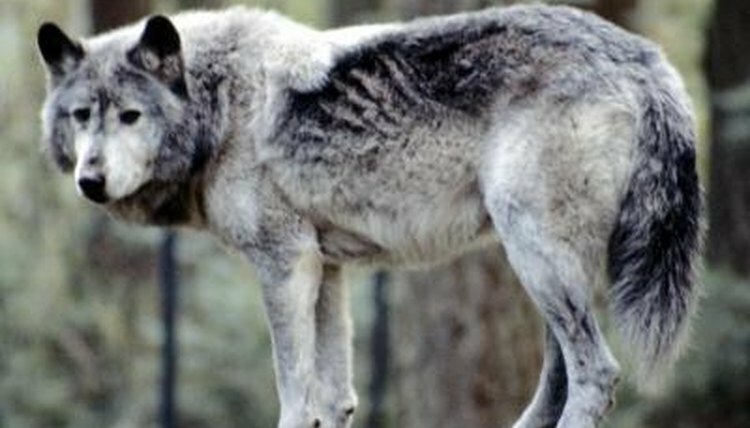 CBS News: Teen Survives First Confirmed Wolf Attack in Minn.